State Sen. Trip Pittman says he’s been too busy in the commotion surrounding former Gov. Robert Bentley’s departure from office to give much thought to a campaign for Luther Strange’s U.S. Senate seat. “My plate’s full,” Pittman told Lagniappe Thursday. Pittman chairs the General Fund Committee, a crucial state budget position. Since the Legislature has been unable to move forward while awaiting a recommendation regarding impeachment proceedings in the House of Representatives, the budget is one of multiple issues that need to be resolved quickly. Among the accomplishments Pittman cited were getting construction underway on the Gulf State Park hotel/convention complex, getting a share of BP money directed to Baldwin County, giving up his salary for much of his time in office, and strong work with homeowners on insurance issues in south Alabama. Meanwhile, questions have been raised anew about Bentley’s appointment of Strange to the U.S. Senate seat vacated by new U.S. Attorney General Jeff Sessions. There is a possibility that a new election may be set, affecting the the plans of Pittman and others. “I’m still considering it,” Pittman said. As for legislation affecting the distribution of local sales money among the Baldwin County Commission and the school board, Pittman said he believes that will get through because the Baldwin County delegation will make sure it doesn’t fall through the cracks. 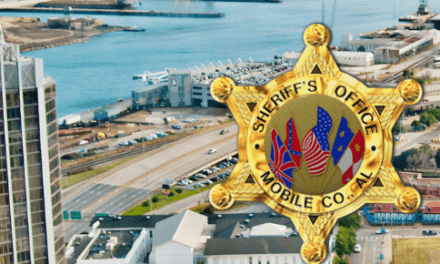 Some opposition also remains within the county to the deal, including from Fairhope Mayor Karin Wilson who came out against it this week on Facebook. Wilson thinks it will result in less money for the public schools.